For one of the easiest travel instruments around, your ukulele still deserves protection and care – at home or on the road. 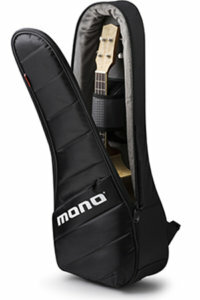 With the first M80 Ukulele Cases, came MONO’s all-round protection and storage features. But where we found opportunities to improve and innovate, we sought the necessary expertise to bring you the renewed and reinspired M80 Vertigo Ukulele case. A sleeker look, more storage options, and further ergonomic enhancements have transformed the M80 Vertigo Ukulele case to an ultimate in comfort and protection. Available for both the Soprano/Concert ukulele size and Tenor ukulele. 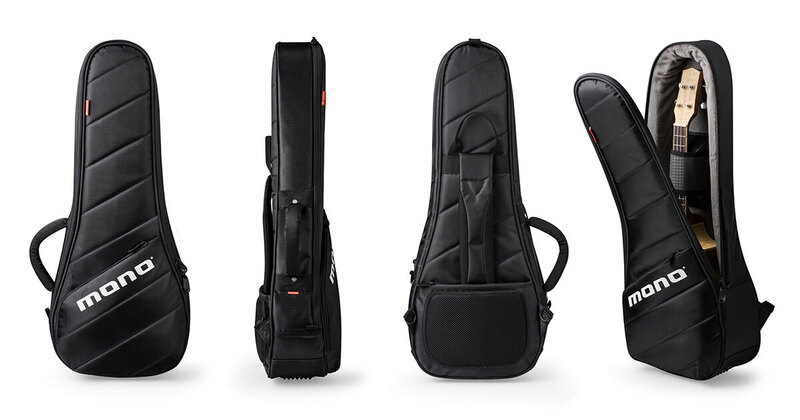 The improved M80 Vertigo Ukulele case borrows traits from the Vertigo series to bring you first-in-class protection for your uke. 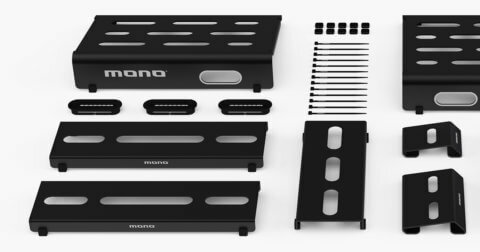 The award-winning Top-Loading™ design gives you quicker access to your uke, while our Headlock™ design will provide unparalleled security for your instrument. Your uke’s headstock is suspended inside the case, saving the ukulele from both side and rear impacts, while the internal Boot protects your instrument against any unnecessary drops. Outside, the integral ABS panels deliver hardcase protection at a fraction of the weight. The reinforced outer shell of the case both absorbs and deflects any bumps, further safeguarding your ukulele with all-round protection. Added storage options include a gusseted outer accessory pocket with an ID slot and dual zipper enclosure on the front of the M80 Vertigo Ukulele. On the back, an extra pocket gives you the same quick access to all your belongings whilst on the go. Built to be carried comfortably, the M80 Vertigo Ukulele comes equipped with an adjustable padded shoulder strap, now also lengthened to provide comfort for bigger and taller musicians. Switch from left to right shoulder configuration with the quick release D-Flex clip. Steel riveted and reinforced, the single shoulder strap can be worn across the body as well. 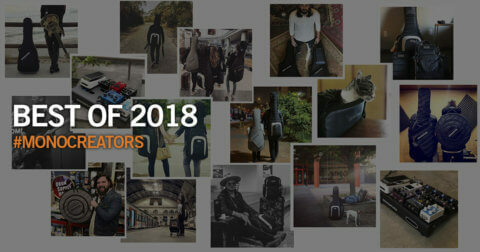 Don’t need shoulder strap just yet? Tuck it away for streamlined hand carrying – options for any purpose. The M80 Vertigo Ukulele is built to military specs, using only high-test materials with extreme resistance to abrasion and the weather. 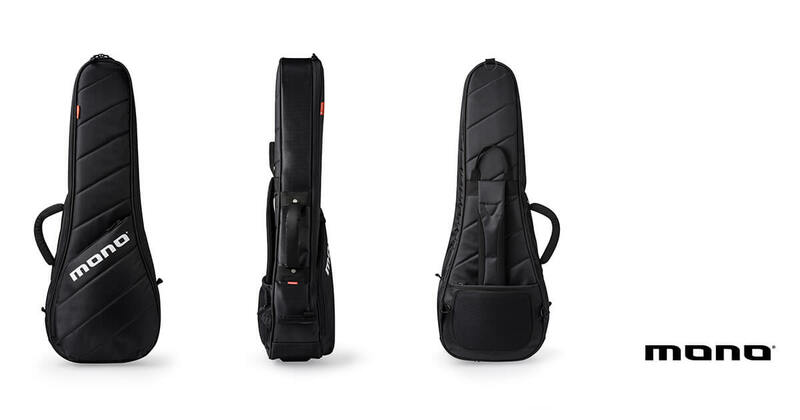 On the interior, the plush linings protect delicate custom finishes and your uke’s strings, while the exterior is armed with the water-resistant Sharkskin™ shell, keeping you on the move, rain or shine. Flaunting maximum protection, the M80 Vertigo Ukulele features a hard-wearing sole and piping made of Hypalon – the same industrial rubber used to design military rafts. The sole simply is not meant to wear out. 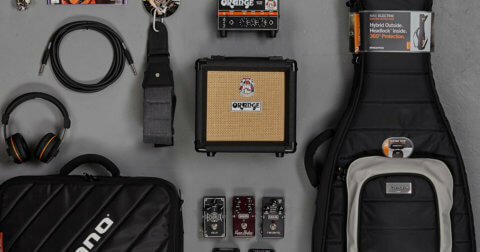 Rock solid, industrial webbing handles come standard on MONO cases, and is maintained on the Vertigo Ukulele Tenor. Bar-tack stitching and steel rivets reinforce for strength, while high-grade webbing provides a comfortable and reassuring grip. To wrap it all off, we’ve installed YKK zippers, lockable for extra security on the go. The M80 Vertigo Ukulele Tenor and Concert/Soprano will retail for $199.00 and will be available early 2018 through our online store here, and through premier dealers worldwide. To get your hands on the new M80 Vertigo Ukulele Tenor and Concert/Soprano, enter your email address below, and we’ll get in touch with you as soon as it releases.